How to make skype not lower volume? When I skype my mother, the volume always gets lower. 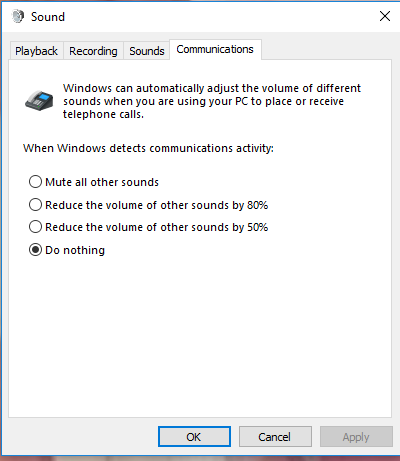 How can I prevent skype to lower my volume constantly? Open Control Panel and make View by as Small or Large Icon view now, click the option Sound. From here go to Communications option and select Do Nothing option. That's it the problem is solved now.